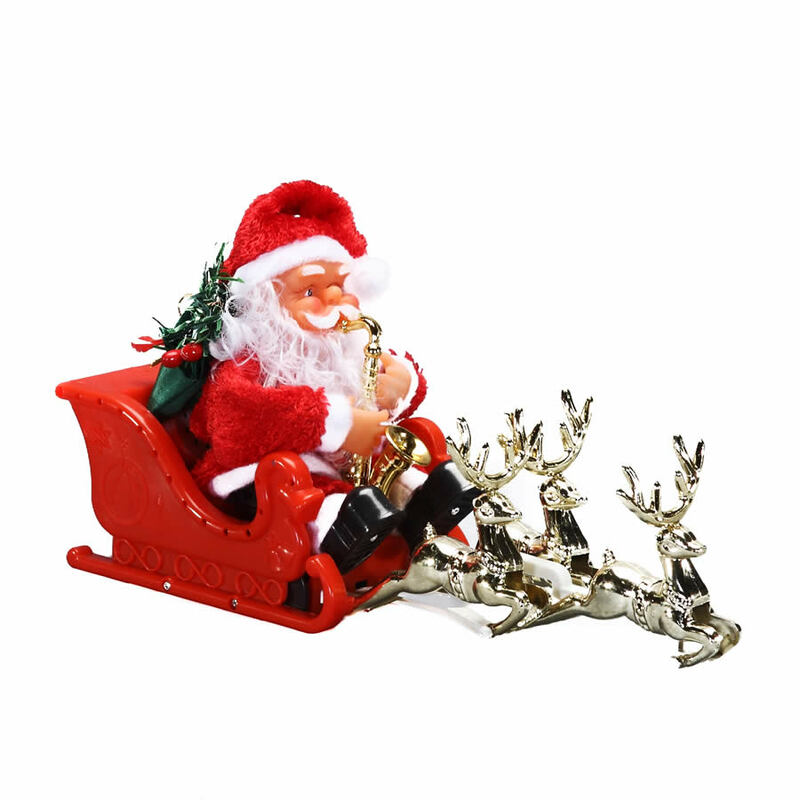 This cute and cheery Santa with Sleigh Deer will remind you of the trims and ornaments that you had when you were a child. It has a vintage flavour that is very appealing and quite whimsical. This Santa measures around 10cm wide by 32cm in height, and is a depiction of our favourite elf riding in his sleigh led by his team of golden reindeer. Santa is dressed in a flocked red suit with his woolly whiskers giving him personality, and the small sleigh is captured perfectly in red. Santa is playing a little horn while he rides through the sky, and appears to be quite talented! Who else can command a team of reindeer and play a golden horn at the same time? This is an animated accent so when you add batteries, not included, Santa will perform on his horn for you! This would make an endearing gift for a friend or child this season. Be sure to display him at any holiday parties or gatherings to get some smiles and a few laughs from your guests.